Efficient, productivity-orientated tasks are easy to reproduce by another human, or even a machine. Creativity is rare. Creativity is the antidote to the poison of efficiency over effectiveness. It’s the solution to sending endless e-mails and making meaningless presentations, because it allows us to perceive the new opportunities that are unfolding in front of us. 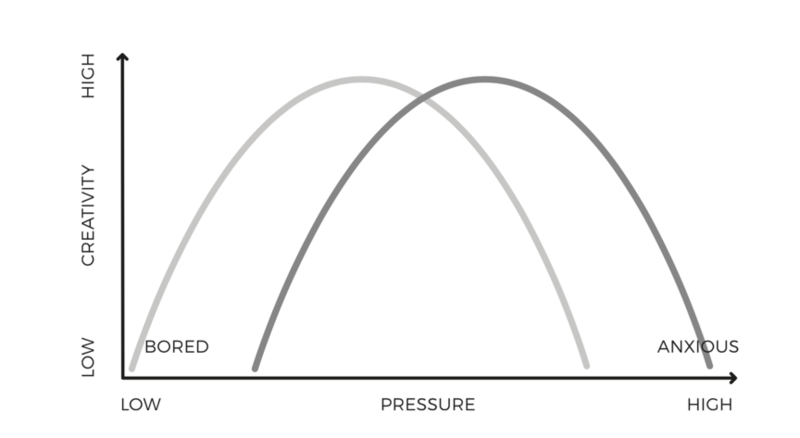 While the specific factors that provide the optimal circumstances for creativity are debated, a brute force approach, based on clocking the hours, is not amongst them. The development of a Formula 1 car is a good example of what can happen if you provide boundaries and creative conditions for knowledge workers. Team structures combine a breadth and depth of experience that promote the combining of old ideas in new ways. The World Championship competition provides pressure and incentives. Rule changes on an annual basis prevent anyone from becoming too satisfied with their ideas. Crafting a ‘creative situation’ isn’t just about setting up boundaries for work; it can also involve allocating space for creative reflection. Our brains have a distinct network of interacting brain regions that become active in periods of wakeful rest, such as when we daydream or let our minds wander. This default mode network (DMN) activates whenever we are not involved in a task. Consequently, it’s sometimes described as a ‘task-negative’ state. The technical story of Formula 1 describes the importance of quality over quantity and the triumph of creative solutions over brute force. In the 1906 Grand Prix, Mercedes fielded a car with a Maybach designed 11 litre engine. Its beastly engineering produced a mere 78kW of power. 110 years later, Mercedes is still competing and winning Grand Prix. 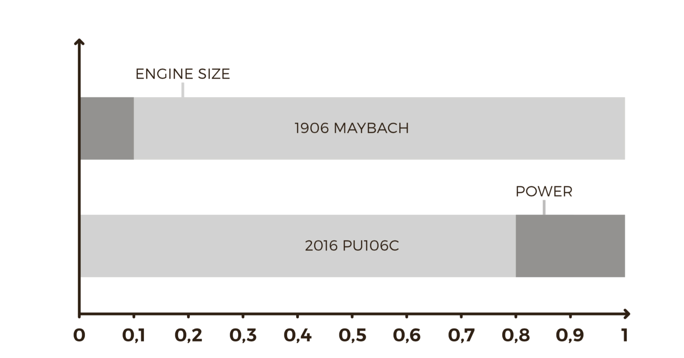 In the 2016 Formula 1 season, Mercedes’ F1 W07 Hybrid cars featured a power unit that produced nearly 10 times the power of the Maybach engine, with 1/7th of the capacity of its ancestor. Brains have replaced brawn with precision, sophistication and consistent creativity.